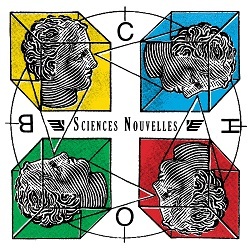 Montreal’s Duchess Says have been around since 2003, though working at a slow clip with new LP Sciences Nouvelles only their third LP to date. Self-described as ‘antagonistic moog rock’ the Québécois band sings mostly in English, despite the title. Blending elements of punk, cold wave and krautrock across the ten tracks Duchess Says know how to write songs that are confronting and abrasive while maintaining pop sensibilities. ‘Negative Thoughts’ builds and builds over a fuzz bass line to an anthemic chorus, while ‘Talk in Shapes’ brings to mind early Neu!, with ‘Pink Coffin’ a flat-out punk rock burner. There is definitely something in the water in Montreal – the city punches well above its weight in terms of quality musical output. And like many of their contemporaries in the city, Duchess Says’ off-kilter approach to fusing several musical forms is refreshing in its originality. 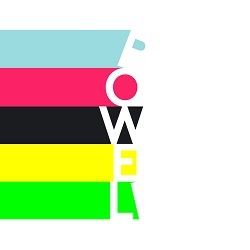 Oscar Powell's debut album is a ripping dance record and a genius bit of cultural disruption. Sport channels the spirit and artistic underpinnings of post-punk through the lens of club music and absolutely nails it. Samples from The Fall, Pere Ubu and Fugazi are littered throughout but this isn't the sort of name-checking and rough pillaging job you might expect from 2ManyDJs. Powell connects with the purpose of those seminal groups and their sounds complement his dense, throbbing production style. Tension and release are the focus here. The raw energy on display here is exhilarating - there's even a hint of Jay Reatard about the delivery. Powell's ability to match this unbridled energy with the precise and developed sounds of techno is what really makes this record stand head and shoulder above the pack. There's plenty of analytical thinking ticking away under the blizzard of noise too. Club culture and the music industry are definitely in the Powell's sights - (See ‘Skype’ and ‘Frankie’). The result ends up sounding like a classic bit of EBM. Thick, chugging bass lines that evoke claustrophobic clubs teamed with piercing cacophonies provoke strong reactions in both body and mind. Vocal snippets (including appearances from Jonny from HTRK) are deftly dropped - whether niggling away or as stark punctuation - to great effect. Powell has delivered on the promise that he's hinted at over the last couple of years. The long gestation period on this release has paid off handsomely - this is a remarkably assured debut album. At last 2016 delivers a super smart album that is certain to upset your neighbours - just like punk rock should.